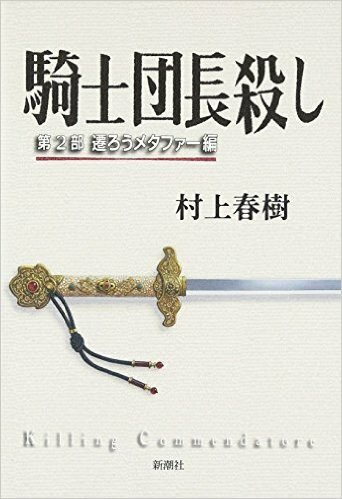 I can’t recommend 『現代秀歌』 highly enough. As I mention in the article, it’s the collection that the poet (and scientist) Kazuhiro Nagata recommended at his Poetry Foundation talk back in April. The book is a collection of 100 contemporary tanka from 100 poets. 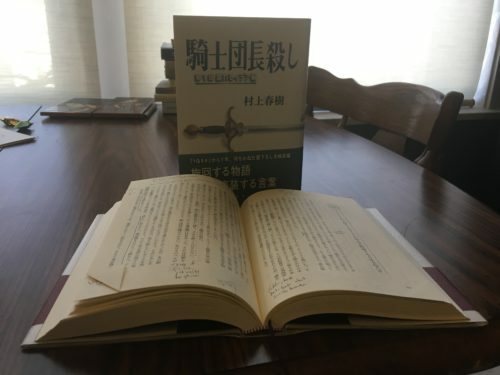 It’s a follow-up to his collection 『近代秀歌』. Both are available on the Amazon Kindle store…very convenient and inexpensive. I think the former cost me $6.95. Not bad at all! Tanka and other classical Japanese poetry forms can be super challenging to students of Japanese. I know that I generally need a helping hand to understand most haiku, and tanka are no different. Nagata provides that helping hand through his commentary about the poems. Yes, the commentary happens to be in Japanese…all the better for your reading practice. In addition to the poems he has selected to represent each poet, he provides another two or three with commentary to fill out a sense of each poet’s oeuvre. If you’re interested in older tanka, Ad Blankestijn has been blogging his way through the poems of the Hyakunin isshu in English at his website Japan Navigator. He gives nice explanations for each of the poems he’s addressed so far with very detailed look at the language used. If you’re not satisfied with the couple dozen that he’s made it through, another blogger got through all 100 over the course of three years (I think…the poems seem to be out of order). The posting for each poem isn’t as detailed as Ad’s in terms of language, but there’s a lot of great background information. And don’t forget that the the Hyakunin isshu is the source of the game Karuta! Check out this very high level match with commentary. Nagata showed a similar video during his presentation. The person singing the poem reads the 上句 (jōku, first half of the poem) and the players have to tag the 下句 (geku, second half of the poem). As you can tell, they generally swipe at the cards after the first few mora…they don’t need to the full 17 to find the answer. Intense! Hopefully this is the last I’ll have to deal with Killing Commendatore for a while. I didn’t really have a chance to get down and dirty with the text to illustrate all the thoughts I had about it, but I’m not sure the book deserves such a close look. I still haven’t finished reading the translation of 1Q84, and I’m not sure that I’ll get to Killing Commendatore in English either. 23 days is enough. No más. But we need to have something for the blog post, so here are the other 惹かれる examples that I didn’t get to talk about in the Japan Times article. I marked this phrase throughout the book. I don’t think this is every instance, but it should give you a pretty good idea how Murakami uses this word. 私が妻に惹かれたのもまさにその目だった (Watashi ga tsuma ni hikareta no mo masa ni sono me datta, What attracted me about my wife were those eyes). 実を言うと、私はなぜか昔からあの話に心を惹かれてきたのです (Jitsu o iu to, watashi wa naze ka mukashi kara ano hanashi ni kokoro o hikarete kita no desu, To be honest, for some reason I’ve been fascinated by that story for a long time). But as with many of the other references, Harusama Monogatari drops away pretty quickly. Considering your negative assessment, why on earth write the other piece, which to my recollection, didn’t even mention anything you wrote in your review? It could be seen as a tacit recommendation of the work, which is not what you wrote in your review. This is a valid question. I guess the simplest answer is I needed something to write about. I felt like looking at the language Murakami uses would be interesting, and I think these examples do show something about how Murakami looks at the world. I probably should have mentioned something about the review, but the word count was a little tight (<—excuse). But I do feel like I managed to get a little warning about the book in the beginning of the piece. Apologies if anyone feels mislead. If you’re looking for a mammoth Murakami to tackle, I’d recommend his travel journal from his time in Europe, 『遠い太鼓』(Tōi taiko, A Distant Drum). I read half of it at some point when I was living in Japan, but got distracted by life and haven’t gotten around to finishing it. That’s a book that deserves a translation. I’m surprised it hasn’t been rendered in English yet. In short, it was not very good. I’ll be very curious to see how it turns out in translation and what the reviews are like. I haven’t seen any announcement of a translator or translation date so far. The word count of the review prevented me from going into detail, partially because I couldn’t use many quotes and partially because it took so many words to summarize (about 550 of roughly 1000 words). I realize this could be my failing as a writer (although I’m pretty happy with my summary, notably with the absence of spoilers), but the book itself also eludes summary: once you start summarizing, you realize that you’re starting to give away the secrets of the book. Because so very little happens, summarizing any of the reveals gives away bit by bit some of the only development/pleasure of reading the book. And there are so many secrets being kept in this book. Secrets between the narrator and Menshiki. Secrets between the narrator and Marie. As in 1Q84 (and other books?! ), there are several points where the characters actively conspire to avoid involving the police—“They’d never believe us! And it could get troublesome for us.” At one point, the narrator allows an old man to go through what appears to be a tremendous amount of pain without calling for help at an old folks home while he has a conversation about how to proceed with solving the disappearance. The pacing of the book also feels off. The first half is the narrator finding the painting, digging up the hole, and getting to know Menshiki and his mysteries, padded with some background story about himself and his family, which I was not able to address in the review. The second half, rather than beginning to unwind some of the build-up, goes on to introduce new characters and build up more mysteries before a disappearance in Chapter 45 (of 64) and the start of the true “adventure” in Chapter 53. I think the first half of the novel could have been much shorter than it was. It’s difficult to express exactly how artlessly Murakami incorporates the historical information in this book. He uses his favorite device of having a character go research something at the freaking library, which he’s been doing since Hard-boiled Wonderland and the End of the World at least, although perhaps even as far back as A Wild Sheep Chase? I can’t remember. On several other occasions, a character says something like “oh, by the way, I found out X” and then proceeds to drop fat blocks of dialogue that have no relation to the rest of their conversation or other plot development. The goal seems to be to make a statement about art—the quote, which I believe is from a documentary but have not been able to track down/confirm, suggests that art can change/influence people, which doesn’t exactly jive with the novel. I’m not sure what it is that Murakami wants the reader to understand about art from reading this book. The retrospective point of narration is equally lazy. This plays a part most noticeably in the first few chapters when the narrator feels very under control of how information is being presented. But it fades away quickly, leaving only vestigial, chapter-ending, retrospective paragraphs that help build some suspense going into the subsequent chapter, but even these fall away as the book progresses! The whole point of telling a story retrospectively is so you don’t have to do a blow by blow other than for the most dramatic incidents, but stream of conscious narration seems to be what Murakami is best at writing or considers most meaningful. He’s obsessed with his characters’ process of living/working, and he details those processes in nearly every book he writes. I don’t know, maybe I’m wrong. Jay Rubin has written in his book on language about how easy it is for students of Japanese to mistake the pleasure of being able to read/understand Japanese for the literature itself actually being good. I don’t think I’m making that mistake here, as it was not fun to devote 23 days of my life to doing nothing but reading this book, but I do think that it can be difficult to grasp the whole of a work I’ve read in Japanese. This is why I took loads of notes in the margins. This is why I wrote 28,668 words of chapter summaries. (NOTE: Write the summary immediately after you finish reading the chapter so that it’s a true summary and not just a write-up of your notes. I find it much easier to conceive of the chapter as a whole if I do it that way.) So I’m fairly confident in my evaluation. 1Q84 helped me notice many weaknesses about Murakami’s work, but this one has thrown them into stark contrast. 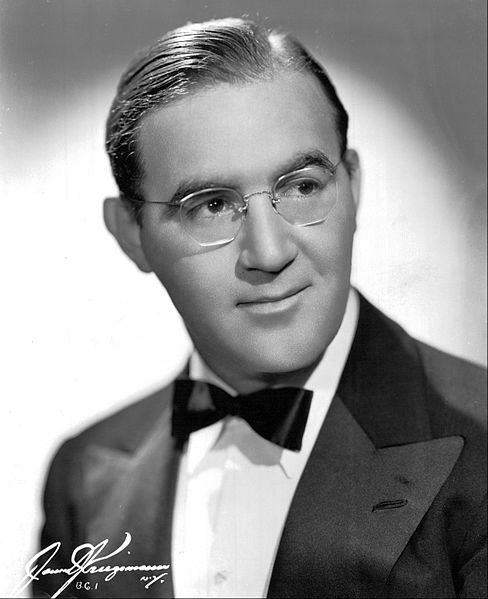 The play-by-play narration works if the narrator is interesting and funny, as in his early works, but here there are just so many unnecessary details that feel given purely for the sake of describing something or because that’s what would have happened. In my writing workshops, one workshop leader always had participants imagine the work under consideration in its best form at the end of the workshop. I think Killing Commendatore in its best form is a book that makes some kind of statement about art, what it does to viewers, how one makes it, why one makes it, what it means to devote your life to art, and how that can affect artists. This seems to be what Murakami tries to do with his opening prologue, which is actually very good. The narrator awakes from a nap, and a man without a face is sitting across from him. He’s been here before, and he’s back because the narrator has been unable to draw his portrait. The narrator struggles and again fails. The man disappears with a puff of smoke, promising to return. It feels like this is a good metaphor for a tortured artist trying forever and ever to achieve some intangible, unobtainable goal with their art. If only that had anything to do with the rest of the book! There are bits and pieces here and there that readers might be able to use to come to some sort of conclusion along those lines, but Murakami is asking readers to do a lot of the work for him. At any rate, it feels good to have it under my belt, and I’m glad to have had another 1,048 pages of language practice. I read an average of 45.6 pages/day, which is 10 below my pace for 1Q84. This is a little surprising. I wonder if I’ve lost focus, have more going on these days, or if the book was just bad. From May of that year until the beginning of the following year, I lived on top of a mountain near the entrance to a narrow valley. During the summer, rain fell incessantly within the valley, but outside the valley seemed to be clear for the most part…those were supposed to be peaceful, lonely days. That is until the Commendatore appeared. Very interesting. This makes it seem like it’s set in a fantasy world of some sort. Perhaps even similar to Hard-boiled Wonderland? A commenter on Facebook noted that Commendatore is a character in Don Giovanni…which normally would suggest a massive culture drop on the part of Murakami, which it could still be, but the Commendatore seems to be an actual character in the book rather than the fictional character. I’m disappointed that my copy has not yet left Japan! When I ordered the last Harry Potter book, it arrived in Japan on the release date, so I think I actually received it a few hours before many of the launch parties in the U.S. I think the delivery date says Monday. I may have a way to get a portion of the book over the weekend, so stay tuned to my Twitter and Facebook feeds. I’m thinking I may do some kind of live broadcast of me reading the book…this is the natural progression from liveblogging, which has been all but destroyed other than for video game/tech presentations. Apologies for skipping last week! I’ll make up for the delay with a massive post this week. This week I’m looking at one last essay in Murakami’s 2015 collection of travel essays. The essay is titled 「懐かしいふたつの島で 」(On two nostalgic islands), and it was originally written in 2011. I’m about half way through the collection, and this is the best one so far. This is partially due to the fact that reading this essay makes me nostalgic. Murakami visited the two Greek islands Spetses and Mykonos during his three-year sojourn to Europe from 1986-1989, and in this essay he goes back to see them. He wrote about his initial trip in the book 『遠い太鼓』 (A Distant Drum), which I read half of at some point years ago. There are a few scenes I can still remember from the book—the “Zorba” Greeks from the beach; Murakami and his wife walking through one of the towns, low on cash because he forgot to go to the bank before the weekend; Murakami running the original Marathon course; Murakami running in Sicily and being chased by wild dogs. Nearly 24 years ago now, I was living on Greek islands. 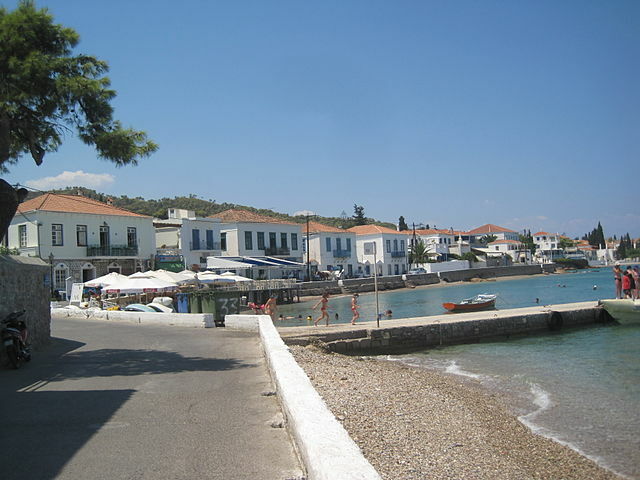 Spetses and Mykonos. “Was living” was only about three months total combined, but it was my first time “living abroad” and it turned into a very memorable experience. Every day I kept records in my notebook, and afterward I put them all together into the travelogue Tōi Taiko (A Distant Drum). I had the chance to go to Greece a number of times thereafter, but I never visited those islands again. So this was my first “return” since then. English has the expression “pilgrimage.” Using that term might be a slight exaggeration, but I followed my steps from a quarter century in the past, so it’s safe to say it was nostalgic. Mykonos especially has a kind of affection within me because it is where I started writing Norwegian Wood. I arrived in Rome in September 1986 and spent a month in the beautiful light of early autumn before going to Athens and then crossing over to Spetses by boat from Piraeus. I wanted to spend a few months in Greece before settling down in Italy. By mid-October, the Greek tourist season was over, and the exhausted Greeks had started to close up their hotels, restaurants, and souvenir shops. Around this time of year it’s cold despite the fact that it’s Greece, and the weather gradually gets worse. Cloudy days grew in number, cold winds blew in, and it started to rain often. Anyone who has taken a cruise ship through the islands of the sunny Aegean Sea of summer would be surprised to know how quiet (and at times even melancholy) a place it can become once autumn sets in. Why did we (my wife and I) choose such a difficult-to-appreciate season to live on a Greek island? First, the cost of living was cheap. At the time, we didn’t have the economic leeway to live for several months on a Greek island during the high season with its expensive prices and rents. Also, the off season and its bad weather was quiet and suited for getting work done. Greece in summer can be too rowdy. I’d gotten tired of working in Japan (there were a lot of different reasons for this that I can’t explain in a single phrase), and I wanted to go to a foreign country to escape the bothersome everyday and focus quietly on work. If possible, I wanted to settle down and write a long novel. So I left Japan and decided to live in Europe for a little while. The unit we lived in back then looked the same from the outside. Nothing had changed. Unit 19. White stucco walls and columns painted blue. I wrote the first few chapters of Norwegian Wood here. I remember it being very cold. It was December, just before Christmas. There was only a single electric heater in the room. I wrote while shivering in a thick sweater. I wasn’t yet using a word processor at the time, so I scratched out characters with a ballpoint pen in a college notebook. Outside the window was a ragged field covered with rocks where a small herd of sheep silently munched on the grass. The grass didn’t look all that tasty to me, but it seemed to satisfy the sheep. When I got tired of writing, I rested my hand, lifted my head and gazed at the sheep. Even now I can still remember the landscape beyond that glass window. A large oleander had been growing along the wall. There had been an olive tree as well. The field outside the window was just as ragged as it had been, but for some reason the sheep were gone. I would write the novel from the morning through the day, and at night I went out into town for a walk and had a little wine or beer at a bar. After working intently, I needed a change of pace like that. So we went to a bunch of different bars. Mykonos Bar, Somas Bar, and several others whose names I can’t remember. Foreigners (non-Greeks) who had settled on Mykonos hung out at bars like that and had quiet conversations. We were about the only Japanese on Mykonos during that season, and they were quite curious about us. There was a woman working at Mykonos Bar who had very charming wrinkles that gathered when she smiled, and I based the character Reiko on her—or should I say her wrinkles. I could hear the clap, clap, clap of a mallet coming from a small shipyard that built old wooden fishing boats. It was a somewhat nostalgic sound. The even beats stopped and then began again after a moment. This hadn’t changed at all. When I listened carefully to the sound of the mallet, my soul was transported back 24 years in the past. I was a writer in his mid-30’s who had just finished writing Hard-boiled Wonderland and the End of the World and was thinking about starting to write Norwegian Wood. I was considered a “young writer.” To tell you the truth, I myself still kind of feel like a “young writer” even now, but of course that isn’t the case. Time passed, and naturally I aged an equivalent amount. It’s an unavoidable progression, as it were. But as I sat there in the grass under the lighthouse and listened carefully to the sounds of the world around me, it didn’t seem like my feelings from that time had changed all that much. Or it might be just that I had not been able to grow very well. Murakami is generally at his best when writing about himself and things he’s familiar with, stuff he’s experienced. This section is good, and there’s a very nice ending with him leaving on a boat and watching Mykonos fade into the distance. I don’t think the essay is quite as good as Tōi Taiko, and it’s no A Moveable Feast, but it’s still a nice read. I’d definitely recommend picking up that book before this essay. And that’s it for Murakami Fest 2016! Thanks for reading. The announcements come next week, as usual. The site says October 3-10, but the Literature date has not yet been set. Keep an eye out. You can stream the announcement live on the website or on YouTube. Maybe this is the year! This week I’m looking at the third essay in Murakami’s 2015 collection of travel writing. The piece is 「おいしいものが食べたい」 (“I want to eat something delicious”), originally from 2008, and in it Murakami writes about two famous American Portlands—that of Oregon and that of Maine. The essay is only okay. Not much of it sticks with me, now that I think back about it—it’s really just a magazine fluff piece, to put it bluntly. He gives a brief historical introduction to both cities and highlights the abundance of restaurants in both, driven by an influx of young people. Then he introduces a few restaurants he visited and describes the food. It sounds like a decent trip to make, one that would give you an interesting look at the U.S. When I lived in Boston, I drove over to visit Portland pretty often. One reason was to visit the workshop of the furniture craftsman Margonari, and the other was to buy up old jazz records at a certain used record store in the city. The owner is Bob Watts, a die-hard LP extremist who would never carry the likes of a CD. Today, again, I bought record after record while we talked. 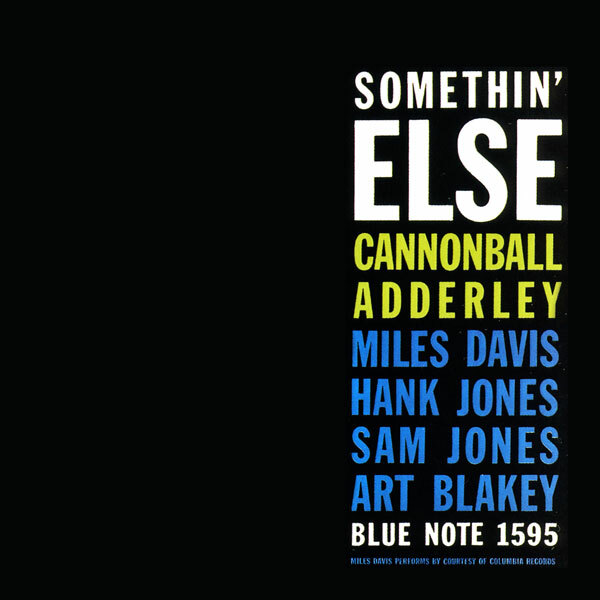 A pristine first edition of Cannonball Adderley’s “Somethin’ Else” (Blue Note) was twenty dollars. How about that? Pretty cheap. Oh, you’re not sure? You don’t listen to records anymore? Well, excuse me. I really only chose this passage because of the great jazz recommendation. I checked out the album and listened to it while writing this post, although I listened on Spotify, not an LP. It’s a solid album. The Wikipedia page for the album is worth a read. The lineup is killer: Adderley, Miles Davis, Hank Jones, Sam Jones, and Art Blakey. *shiver* Adderley would feature again with Miles one year later on Kind of Blue…damn. Murakami’s tone there at the end is kind of funny. He doesn’t take it any further than that, and this is the only instance of a technique like this, at least in this essay, and so far in this collection. It seems pretty ordinary Murakami and really only stands out because of the plain, guide-like style of these essays. Last week I forgot to mention the importance of “projects” in Japanese study. Little projects—like this annual Murakami exercise or even something smaller as resolving to read an entire book or a certain number of pages every day—are very helpful language study devices. I’ve had this Murakami collection since January but haven’t had a chance to read it yet, and now I’ve forced myself to. Accountability is important. So, yeah, I recommend setting up some kind of project, maybe even an annual project, and then really committing to it. It doesn’t have to be in as public a forum as this, but making it public does make it more difficult to avoid. This week I’m looking at the second essay in the collection: 「緑の苔と温泉のあるところ」 (“The Place with Green Moss and Hot Springs”). 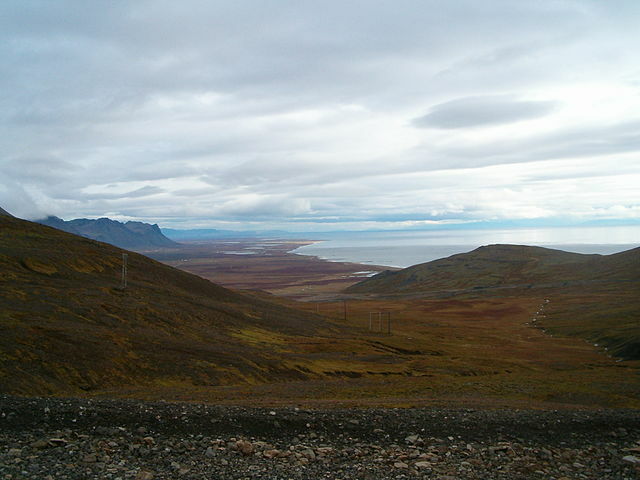 Murakami travels to Iceland for a writer’s conference and travels around a bit. The first part of the essay reads like a Wikipedia article, and Murakami does have a tendency to wonder wide-eyed at things that he deems strange about the country: they use credit cards very frequently, restaurants all decorate with plastic flowers, everyone seems to like to paint. But he does hit some high notes when writing about the scenery and with a side trip he takes to see the care for abandoned puffins. The weather on the Snæfellsnes peninsula is a miserable thing, but the scenery did not get us down. There aren’t any tourist spots that are particularly well known, and accordingly there aren’t many visitors, so it’s simple and doesn’t cater to visitors. A relatively flat coastline runs along the southern side, and there are lots of birds, which makes it suited for birdwatching. There are several beautiful fjords on the northern coast that take your breath away. Cliffs carved out by ancient glaciers; quiet, deserted inlets; small churches with red roofs; green moss that was everywhere; distinct clouds, low and fast-moving; strangely shaped, taciturn mountains; soft grass shimmering in the wind; sheep scattered about, wandering in search of a sentence to punctuate; the remains of burned down houses (for whatever reason there were a lot of burned down houses); bales of hay bundled tightly for winter. I hesitated over whether I should even take pictures of this scenery. Its beauty wasn’t the kind that could be fit into the frame of a photograph. The breadth of the scenery before us, its almost permanent stillness, the deep scent of the tides, the ceaseless wind blowing over the ground, and the unique flow of time all came into being as an “inclusiveness.” All of the colors there had been produced as a result of being exposed to wind and rain since time immemorial. And they changed, hour by hour, based on changes in weather, the ebb and flow of the tides, and the movement of the sun. 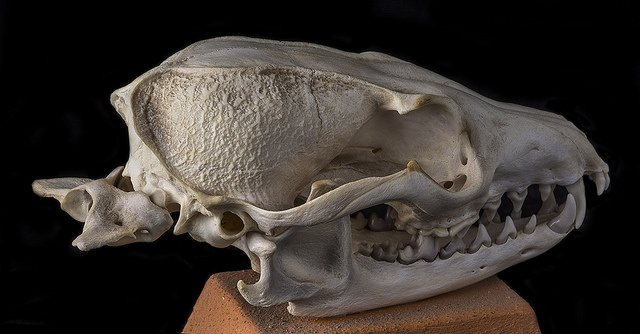 Once you capture them through the camera’s lens, once you translate them into a mixture of scientific colors, what’s before you today has already become something entirely different. The mood within almost completely disappears. So all we could do was look at everything with our eyes for as long a time as we could and etch it into our minds. And then put it into our transitory memory drawers and use our own power to carry it somewhere else. Wow. Nine years. That’s kind of unbelievable. I started studying Japanese 15 years ago this summer, so I’ve been doing this silly exercise (writing this only-slightly-less-silly blog) for a good majority of my Japanese studying experience…which is now sneaking up on half my life. Welcome to the Ninth Annual How to Japanese Murakami Fest! This year I’ve done very little preparation. Tonight after I finished up some other work, I brainstormed a couple ideas, tossed most of them in the garbage, and decided to translate passages from the latest Murakami book that I purchased on my trip last Christmas. 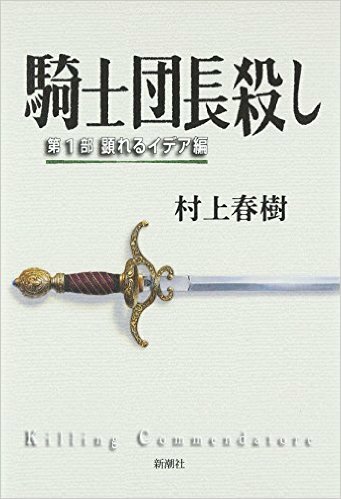 The book is 『ラオスにいったい何があるというんですか？』(My contextless translation: What Exactly Do They Say is in Laos? ), and it’s a collection of travel essays from various points in his career, many from the magazine AGORA. The first essay titled 「チャールズ河畔の小径」(“The Path on the Charles”) is from 1995, when Murakami had run the Boston Marathon four times. He’s run it twice more since then, and I saw him run it one of those times in 2003. The piece is an ode to the Boston Marathon and also to the running path on the Charles. Murakami calls the marathon 大げさに言えば精神的なふるさとのような大会 (“to put it in exaggerated terms, a race that is something like my emotional home”). I think that the act of seeing a large amount of water every day may be, for humans, very meaningful. Well, it might be a bit of an exaggeration to say “for humans,” but I feel like it’s an incredibly meaningful thing for me at least. If I go for a while without seeing water, I start to feel as though I’m continuously losing something little by little. It might resemble to a certain extent how someone who loves music feels when, for some reason, they are separated from music. Or it might have something to do with me having been born and raised closed to the coast. 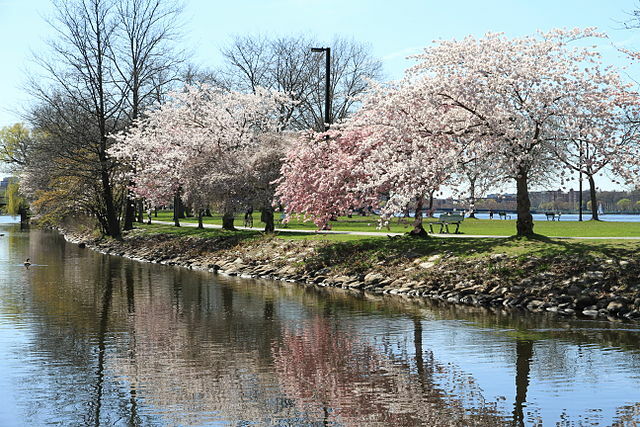 The photo at the top is of the sakura on the Charles, which Murakami mentions blossom in May, much later than the cherries in Tokyo and southern Japan. I’ll start reading through a few more of these essays and hopefully turn up some more interesting passages for the coming weeks. As always, よろしくプリーズ.